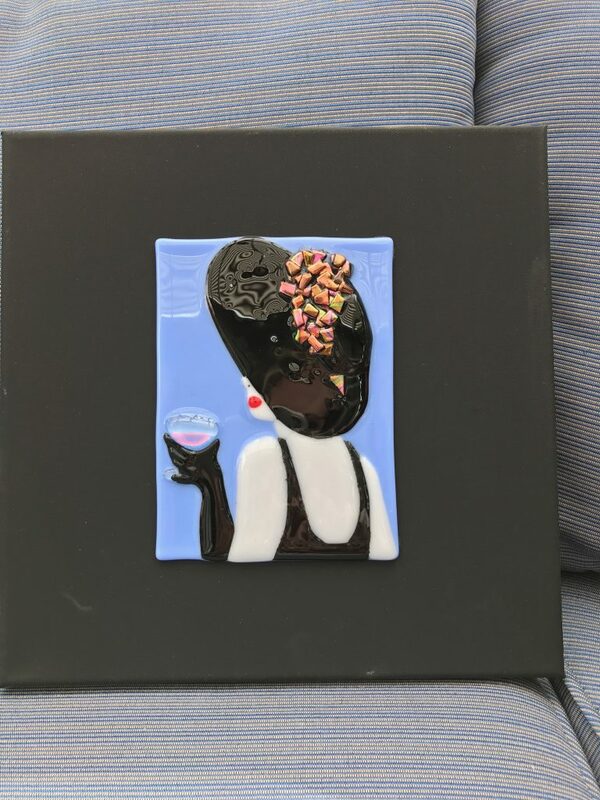 Here are my Glass Ladies and I’m so excited about them – this is really customized Fusion Glass – you decide what colours you want and then we put it together from there!!!! I started doing the Lady with the Red Hat because I liked her and thought let give it a try and see how it turns out. I basically had to make puzzle pieces and make sure the pieces could be cut and then put back together, and hope that once it was fired it came together and looked good. I think the hardest part of this piece are the lips because they are so small and have to look just right to make it all come together. 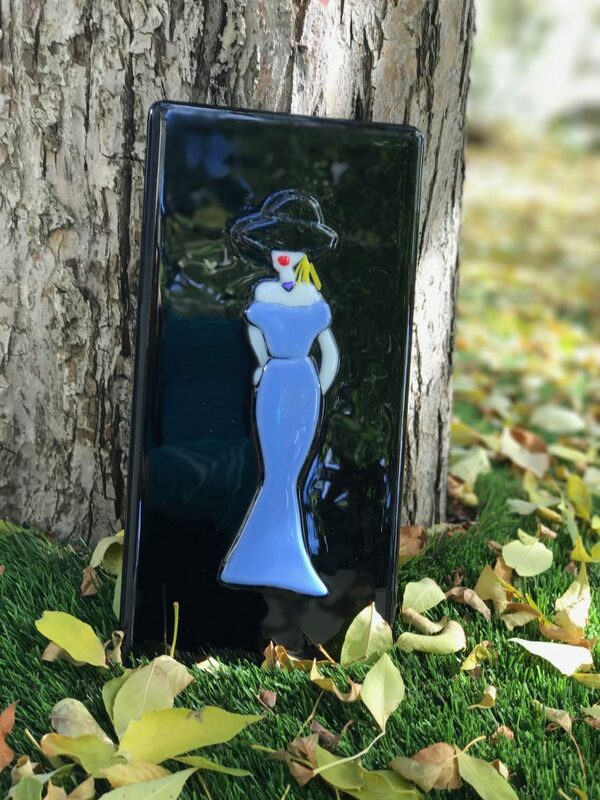 Once my daughters and Granddaughter’s saw my Glass Ladies they immediately requested their own – with their own style and it just went from there. I hope you enjoy the details on my Glass Ladies – like the Champagne glass, or the Rose. 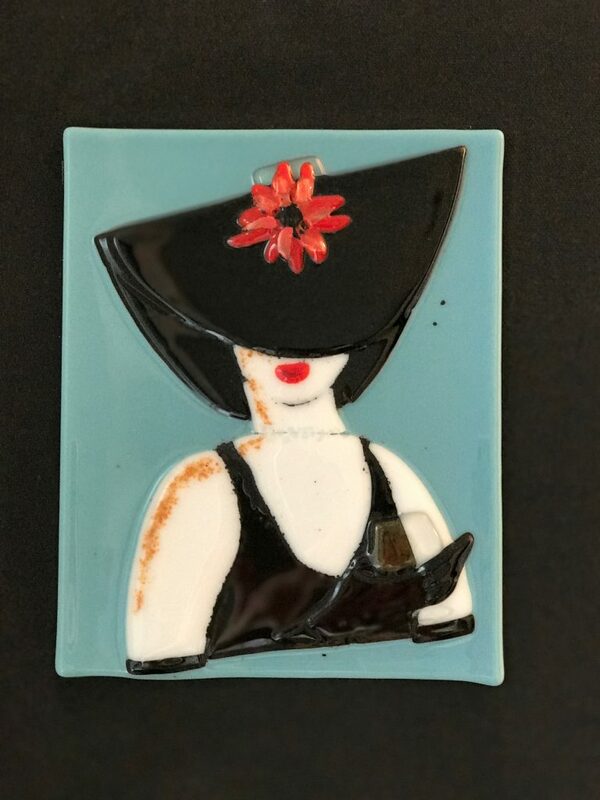 My Glass Lady below with the Red Hat is actually my first Lady I started with and I have to say she is one of my favourites. 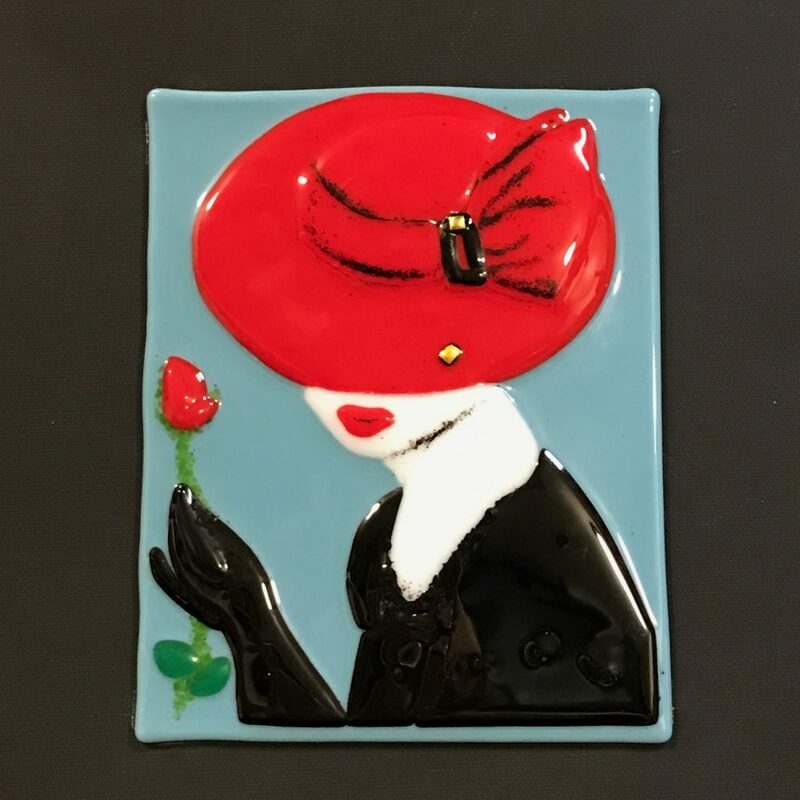 I’ve decided to name all my Glass Ladies for the people I make them for so my Red Hat Lady is named Sheree!!! The Lady below with the Blue Bow is named Natasha!! The Lady Below holding the Champagne Glass is named Jennifer!!! The Lady below holding the Wine Glass is named Anne!!! 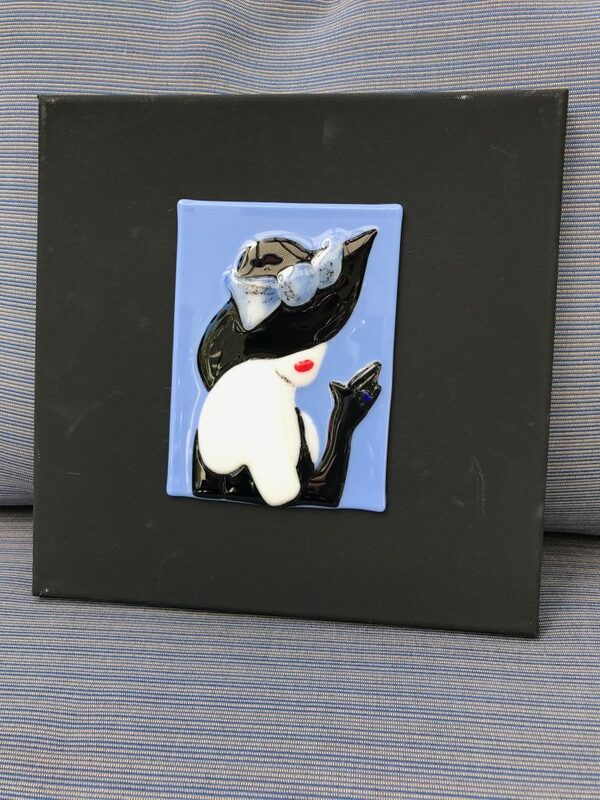 The Glass Lady below I made for my youngest granddaughter, she loves all my glass and actually took all her jewelry pieces to her kindergarten class for show and tell. So this Glass Lady is called Ayva!!! 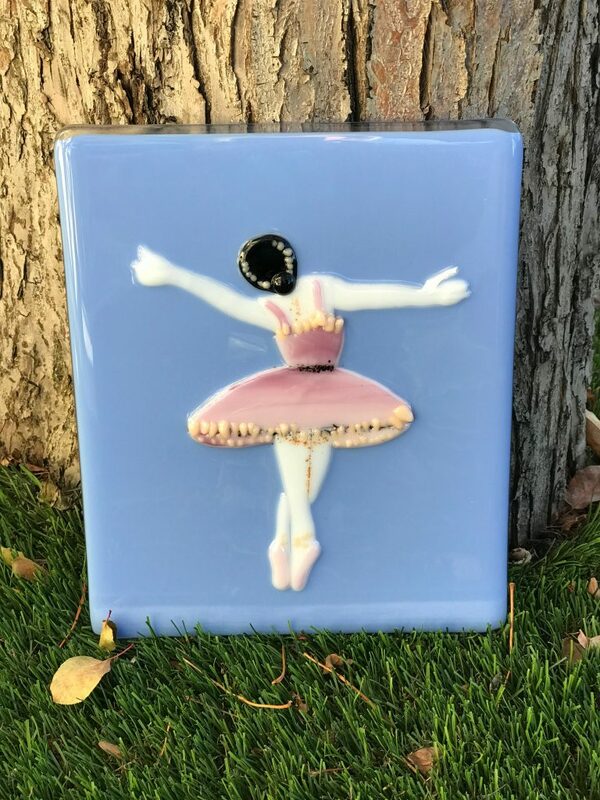 This is my oldest Granddaughter’s Ballerina – she loves to Dance and has been taking Dancing lessons for a few years now – we always love to go watch her Dance. This Glass Lady is called Emily!! !